From Nikon USA website we know that Nikon 1V1 and 1J1 recorded vidos are in H.264 MOV format, but these mov footages always in HD (1080p, 720p or 1080i ). These mov movies can’t be supported well by iMovie. When you want to edit Nikon 1V1&1J1 MOV recordings in iMovie, in order to get the best video quality, you are always recommended to transcode H.264 MOV to Apple ProRes 422 codec MOV format for editing, and then you will not encounter problems and you can edit the video smoothly. Follow the guide below you will know how to import and convert Nikon 1V1&1J1 HD MOV files to iMovie with AIC codec on iMac/MacBook Pro with Mac OS X Moutain Lion 10.8. Step 1. Install Nikon 1V1/1J1 H.264 MOV to iMovie Converter for Mac. 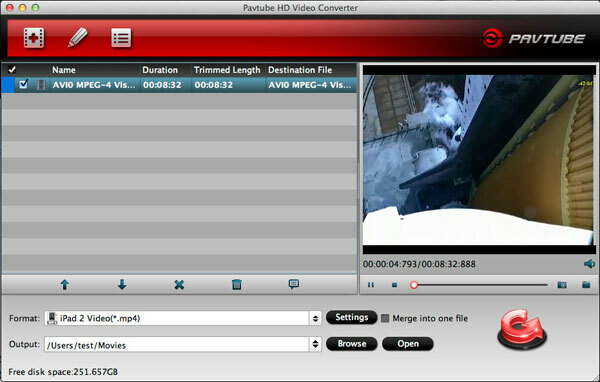 This converter can help you transcode Nikon H.264 video to FCP(X), iMovie, FCE, etc. Then load Nikon 1V1&1J1 MOV video files to this program. Step 2. 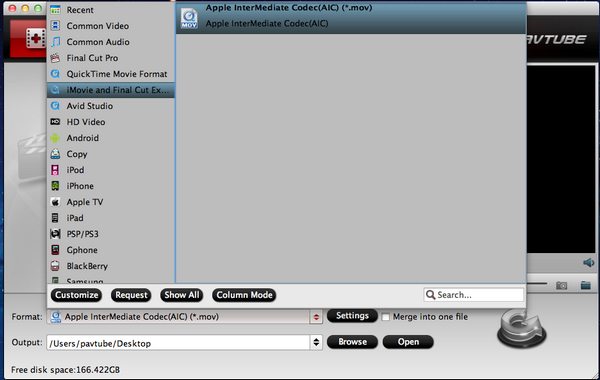 Choose Apple Intermediate Codec MOV output format for iMovie. Click the “Format” option, and choose iMovie and Final Cut Express > Apple Intermediate Codec (*.mov) for converting the highly compressed Nikon 1V1&1J1 HD MOV to compatible AIC MOV for loading to iMovie. Click the convert button, the Mac Nikon 1V1&1J1 MOV to iMovie converter starts converting Nikon MOV videos to iMovie AIC format. 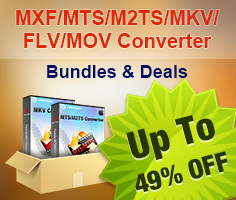 After converting, you can load converted video to iMovie, and then you can edit Nikon MOV footages in iMovie smoothly. You can also follow this Nikon MOV to FCP conversion guide to trnascode Nikon video to FCP for editing.